After my shopping adventure at the mall I came home and changed into some gym clothes. I figured if I was going to do some running I should just get it over with (I sound thrilled to be running today don't I). 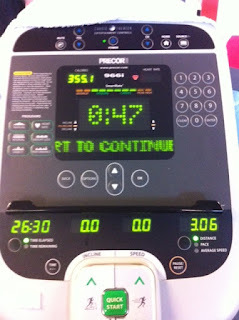 I was lacking motivation again so I headed to the YMCA to run on the treadmill. I put on the "Bon Iver" radio station on Pandora and set the television to the show "House" and started running. I tried to start off conservatively since I hadn't run 7 miles in a long time and didn't want to wear myself out right away. 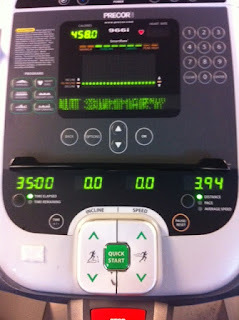 The treadmill automatically stops at 35 minutes so I was right under the 4 mile mark at 3.94 miles (8:52 min/mi pace). I started the treadmill back up and kept trying to run at a slightly faster pace than the previous 4 miles. I was getting tired and my left knee started bothering me a bit. 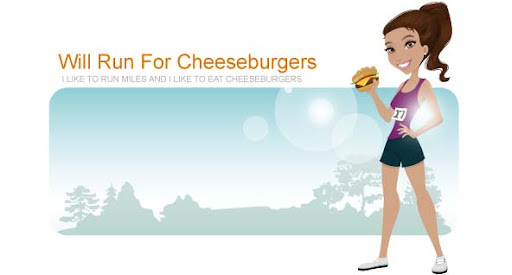 Before I knew it I had reached a combined 7 miles and I could finally stop. 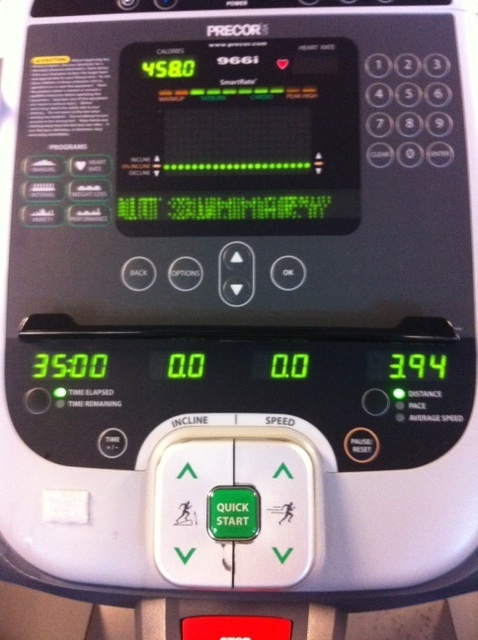 My 2nd treadmill work out was 3.06 miles in 26:30 minutes (8:39 min/mi pace). I was super sweaty and gross by the time I was done (shocker). I headed over for some water and quickly did some stretching. Once I was home I checked the mail on the way up to my apartment. 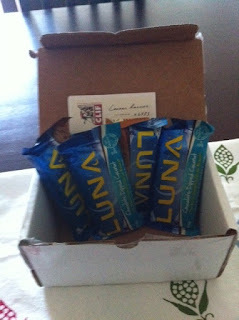 I was super stoked to find a box from Luna! Inside were samples of their 2 new flavors, Chocolate Chunk and Chocolate Dipped Coconut. Thanks Lauren! 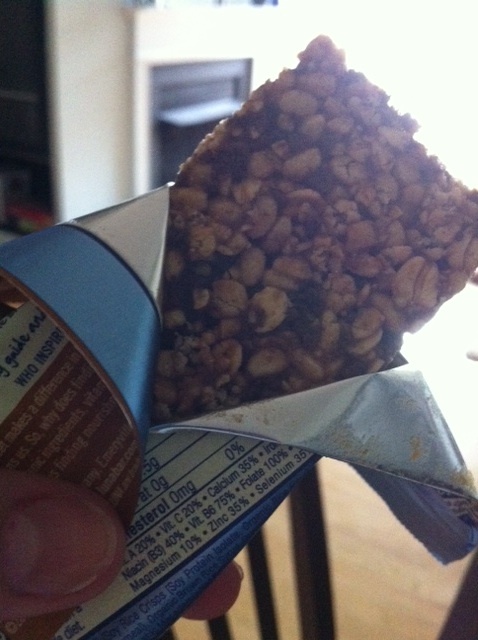 I quickly tore open one of the Chocolate Chunk bars ... I was pretty hungry since I only ate a handful of almonds before running and hadn't eaten since my delicious breakfast. 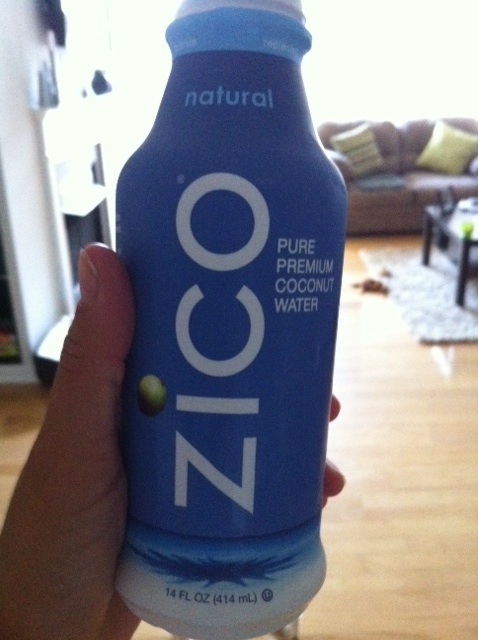 Along with my delicious bar I had a Zico coconut water. I feel a lot better now and am looking forward to some serious couch time with Honey.